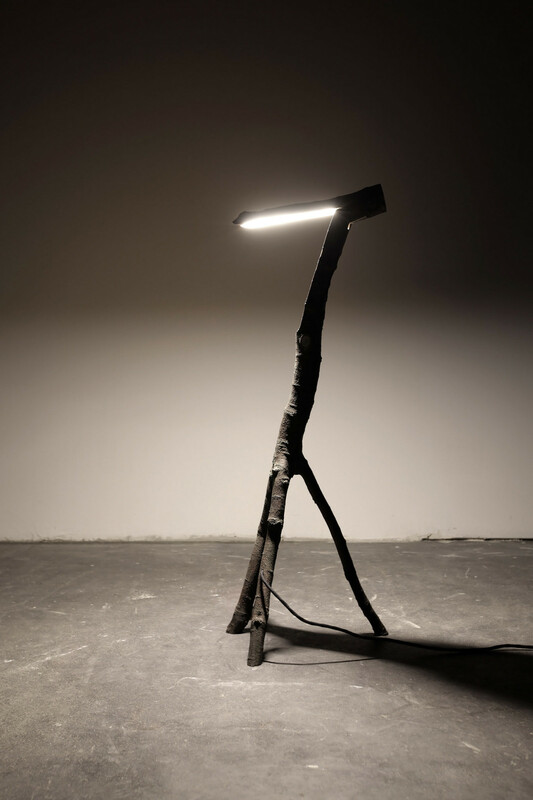 This light object is a variation of the Little Tree Friend. 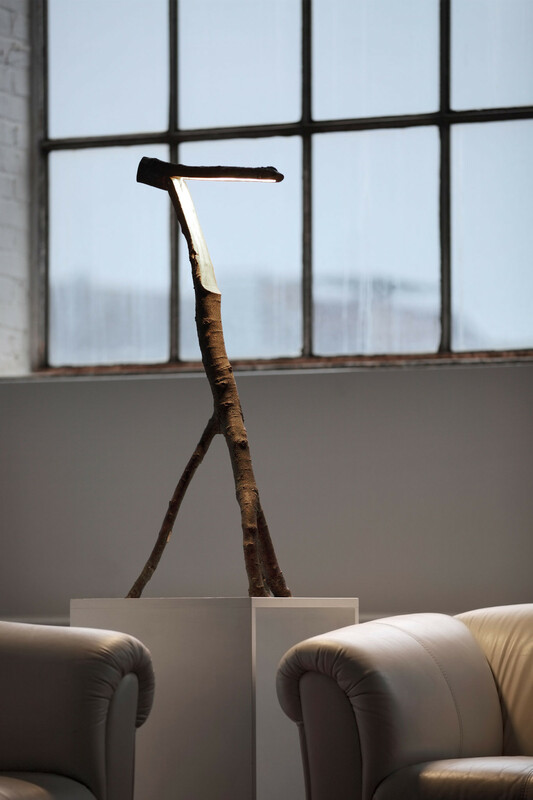 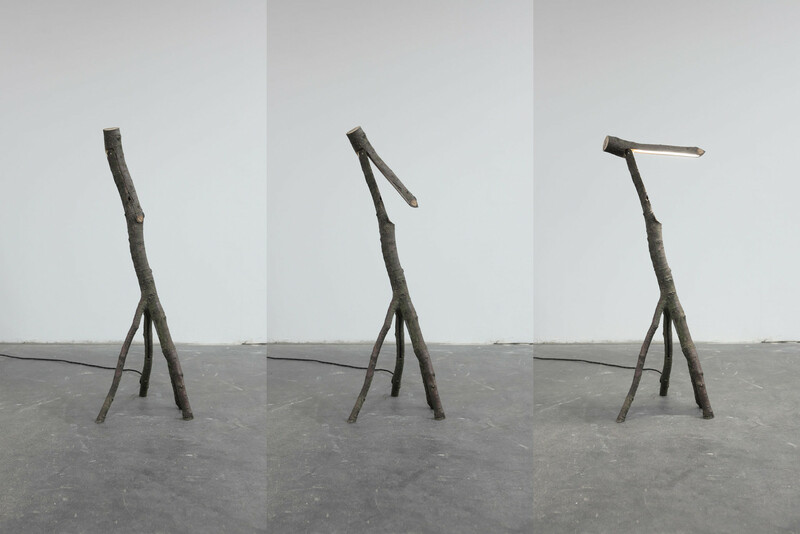 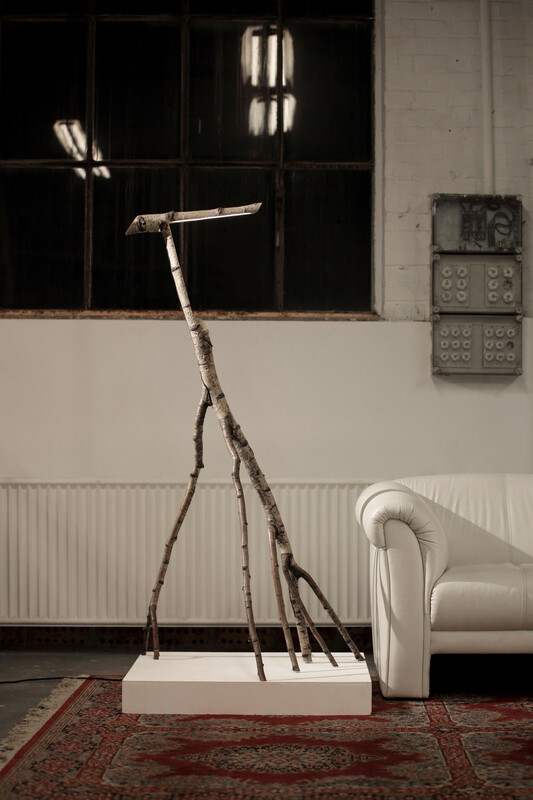 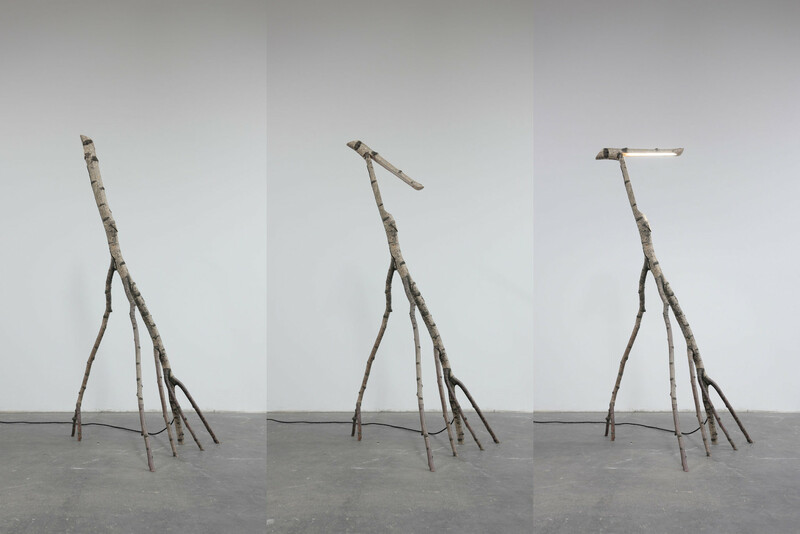 Created from a thicker branch, the light source vanishes into the object body when closed. 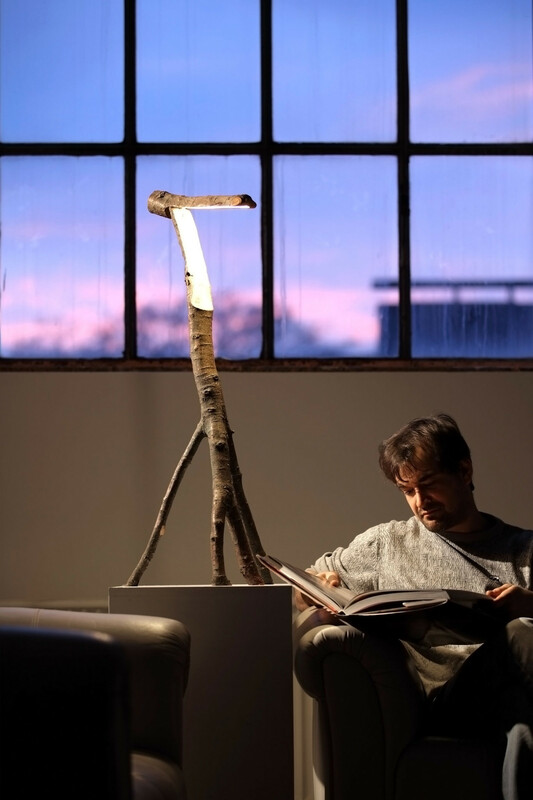 Fitted with a contact in the hinge of the head, the light source is turned on upon opening – cancelling the need of a switch. 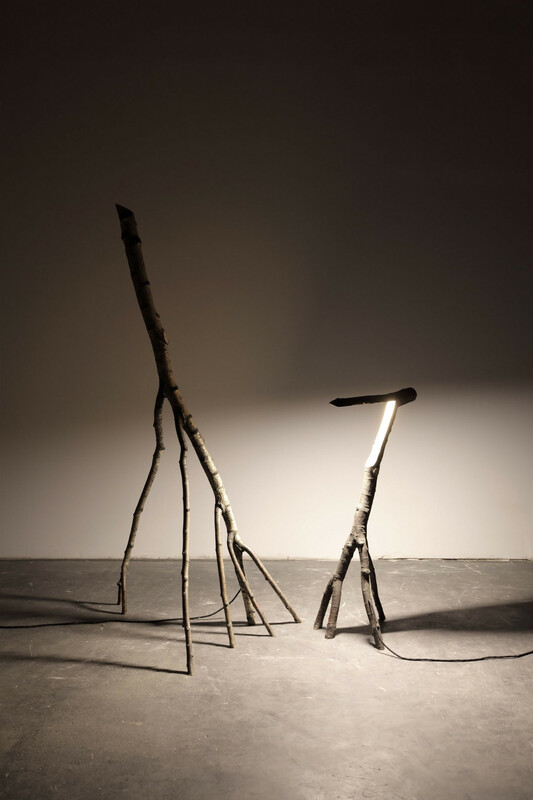 The branches purposely collected for this item need to age between 12 and 24 months before they will be processed.